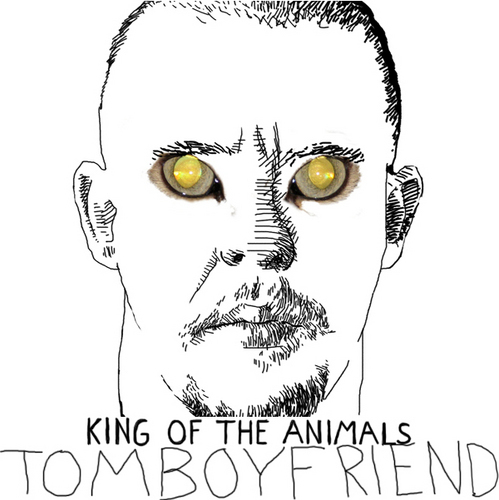 Tomboyfriend released a new EP back in January. It is predictably awesome, five songs-long and a little more ballad-oriented than their oh-my-god-so-good-it-got-a-spot-on-our-Polaris-ballot full-length debut Don't Go To School. Rather appropriately for a record from a band that started out as a conceptual art project, brings together creative people from a variety of disciplines, and used to play shows on the sidewalk outside art galleries, King Of The Animals has not just one but two songs that are overtly about artists. It kicks off with a track about the late fashion designer Alexander McQueen and follows that up with "Margaux". Margaux Williamson, a Toronto video artist and painter, has been friends with the band since their earliest days, was recently one of the main character in Sheila Heti's novel How Should A Person Be? (which also features some Tomboyfriend references), and even directed the group's first video, "End Of Poverty", by cutting together YouTube clips of people dancing. We'll embed it below. When it was originally released The New York Times called it "one of the best things to see on a screen in 2008". Now, Williamson has a brand new video for the band, which is hella exciting, and she'll be debuting it tomorrow night at the AGO, where she's currently the artist in residence. And as if that weren't reason enough to show up (and it is), the band — one of the most awesomely theatrical acts in the city — will be performing, too. So, uh, yeah. We'll see you there. Tickets are $7 ($5 for AGO members). You can order them in advance by heading right on over here. It's all ages. Doors at 7:30. Facebook event invite here.